A new scheme, called the Centralised Communication Scheme (CCS) 2018, has been notified by the Central Board of Direct Taxes (CBDT). It aims to issue the tax-related notices in a centralised manner. The notices are likely be about furnishing information or documents and verifying the information. On receiving such notices, taxpayers may have to take remedial action by going to their tax e-filing account https://incometaxindiaefiling.gov.in. Here’s more about the scheme. CBDT notified the scheme on 22 February 2018, under section 133C of the Income-tax Act, 1961. It aims to make the department’s interaction with the taxpayers paperless. However, there is no clarity on the type of notices that will be issued under this scheme. “The types of notices have not been specified in the Centralised Communication Centre (CCC). Hence, Centralised Communication Centre shall issue notices to any person requiring him to furnish information or documents for the purpose of verification of information in his possession,” said Chirag Nangia, director, Nangia & Co LLP, a Noida-based chartered accountancy firm. Typically, notices are served to taxpayers when there is a mismatch in the tax return filed and the tax assessment. Notices are also issued about certain financial transactions of the taxpayer. “Income-tax Act empowers the authorities to call for information or documents from any person, which may be used for any income-tax enquiry or proceedings,” said Gokul Chaudhri, partner, Deloitte India. Under CCS, the notice will be served through email, on the registered email of the taxpayers, or by placing a copy in the e-filing account of the taxpayer on the website www.incometaxefiling.gov.in. Notice will be followed by an intimation through text messages on the registered mobile number of the assessee. The notice will carry the details of information or documents that are required to be furnished for verification. It will also specify the date before which such information and documents are to be submitted. 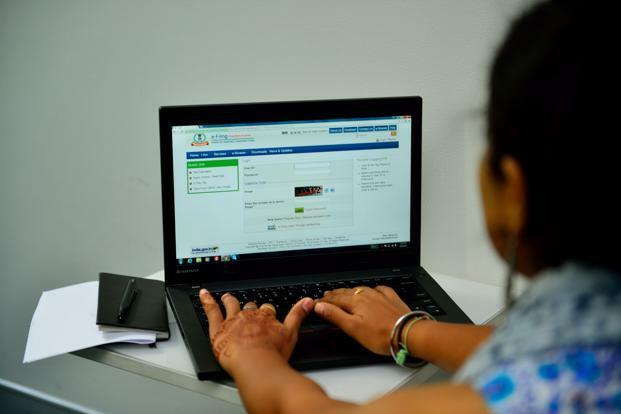 Even now, taxpayers can respond online to various notices issued by the income tax department. However, “This scheme is different from the current e-assessment procedure for scrutiny assessment, where a taxpayer whose income-tax return is under scrutiny is allowed to respond and to furnish information and documents to the assessing officer in electronic mode,” said Chaudhri. As already mentioned, the scheme aims to eliminate person-to-person contacts with tax authorities. So, taxpayers would not need to appear personally or through their authorised representatives before the designated authority at the CCC. “Besides saving time of the assesses, this anytime-anywhere facility will help assessees to submit their responses to departmental queries easily and retain the important submissions,” said Nangia. The elimination of person-to-person contact will also lead to greater efficiency and transparency, added Nangia. The CCC is also planning to lay down a machine-readable, structured format for furnishing the information or documents by the taxpayers in response to the notice issued by the department. The procedure, formats, and standards for furnishing the responses to notices would also be specified by the department soon. Once the required system and format are in place, taxpayers will receive an acknowledgement upon responding to the notice. The scheme also has a web portal facility, where assessees can login and track the status of their verification process, display relevant details, and download any documents if needed. A call centre would also be established under the scheme to answer the queries and provide support services to taxpayers seeking information or clarification. A grievance redressal mechanism will also be setup at the CCC for resolution of taxpayers’ grievances.